Administrative Law Judge (ALJ) Glynda B. Gomez, Office of Administrative Hearings, Special Education Division (OAH), heard the above-captioned matter in Oxnard, California on January 8, 2007 and January 10, 2007. Petitioner Oxnard Elementary School District (District) was represented by Benjamin Nieberg, Attorney at Law, of Garcia Calderon Ruiz. Ronald Moon, Administrator of Pupil Services, also appeared on behalf of the District. Respondent Student (Student) was not present. Student was represented by his mother (Parent) at the hearing. District’s Due Process Complaint/Due Process Hearing Request was filed on February 27, 2006. The ALJ opened the record on January 8, 2007. Testimony and documentary evidence were received on January 8, 2007, and January 10, 2007. The record was closed on January 10, 2007. 1. Maythe District assess Student pursuant to the November 14, 2005, assessment plan? 2. Is District entitled to an order compelling Student to participate in the assessment? 3. Is it Premature to order an Independent Educational Evaluation1? District contends that it has attempted to assess Student since his parent made a written request for an outside assessment or Independent Educational Evaluation (IEE) on November 7, 2005. District seeks a determination that it has the right or obligation to assess Student and that it is premature to conduct an IEE at this time. District also seeks an order compelling Student’s attendance at the assessment. Student contends that he has an immediate right to an IEE. Student has refused to participate in the assessment because he has no trust in the District. According to Student, District failed to protect him from abuse by another pupil at McKinna Elementary School and mishandled the aftermath of the abuse resulting in significant emotional trauma to Student. Accordingly, Student contends that District personnel are incapable of performing an assessment without causing additional trauma to student. 1. Student is 12 years old, attends seventh grade at Frank Middle School (Frank) and lives with his parents within the boundaries of the District. Student has never been assessed to determine his eligibility for special education services nor has he received such services. 2. Student attended McKinna Elementary School (McKinna) in the District from kindergarten through approximately October of the fifth grade 2004-2005 school year. Student’s academic progress and behavior were unremarkable until fifth grade. In the fifth grade, Student suffered a battery, bullying and taunting by another pupil at McKinna (the incident.) Following the incident, Student became withdrawn and reluctant to attend school. He also had trouble concentrating on his school work. 3. Student did not tell his parents about the incident. Parents learned of the incident from Student’s sister who also attended Mckinna. Parent sought and obtained psychological and psychiatric care for Student. Student was subsequently diagnosed by Philip Malinas, MD, a board certified psychiatrist, as suffering from Post-Traumatic Stress Disorder as a result of the incident. Student has refused to talk with his psychiatrist or other therapists about the details of the incident. 2 Parent expressed a general preference for physician evaluation rather than nurse evaluation. She also expressed concern about school psychologist Mary Truax from Brekke and the Brekke team based upon perceived bias and a negative experience during Student’s brief attendance at Brekke. At the hearing, District requested an express finding that Mary Truax was qualified to perform the assessment. The ALJ does not reach that issue as it is not relevant to the case at hand. District has made a specific offer of a specific assessment team which does not include Mary Truax. Therefore, her qualifications or lack thereof, to perform the assessment are irrelevant. Furthermore, Mary Truax’s qualifications were not raised as an issue in the Due Process Hearing Request or at the Pre-Hearing Conference . 4. Parent was dissatisfied with what she perceived to be Mckinna staff’s indifference to Student’s plight. 5. Parent attempted to enroll student at Brekke Elementary School (Brekke) in October of 2005, also within the District, but was told by the Brekke principal that there was no space available for Student. After intervention by District Assistant Superintendent Marc Jackson (Jackson), Student was permitted to enroll in Brekke. Student attended Brekke during a three week period in October and November of the 2005-2006 school year. At Student’s request, Parent remained on campus in the school library, while Student attended classes at Brekke. Parent considered Brekke staff to be insulting and unwilling to work with her to assist Student. 6. Subsequently, in November 2005, Student’s parents withdrew him from Brekke on the advice of a treating physician. Student received home school instruction from a District provided instructor, Rosalba Nava (Nava), for a brief period in November 2005. Parent was dissatisfied with Nava’s performance, professionalism and credentials. Parent complained to the District and then terminated instruction by Nava. 7. From December 5, 2005, to June 6, 2006, student received instruction from Nancy Bates (Bates) for one hour per day, three days a week at Student’s expense. Bates is a credentialed teacher and a licensed Marriage and Family Therapist. She has some experience tutoring physically disabled and emotionally disturbed students, but has no experience as a special education teacher and no familiarity or experience with special education assessments. Bates claimed to have conducted an academic assessment to determine Student’s academic performance level and claimed that Student performed at a fourth/fifth grade level in math and sixth grade level in reading. She reported that Student was inconsistent and at times, uncooperative with instruction. Bates’s testimony concerning the assessment of Student’s academic grade level performance was given little weight because she was unable to discuss, identify or recall any of the assessment tools she used to assess Student. Bates had a brief therapeutic relationship with Student in June and July of 2006. She determined that Student would not progress in therapy with her because of his inability or reluctance to discuss the incident and she terminated the therapeutic relationship in July of 2006. 8. For the 2006-2007 school year, Student enrolled at Frank Middle School (Frank) within the District. Student wanted to return to school and to attend Frank because he has a friend there. Student made the decision to return to school in conjunction with his psychiatrist, Dr. Malinas, and Student’s parents. He currently attends Frank for a portion of the day. During the portion of the day that Student attends Frank, his mother remains in the school library at his request. Student remains under the care of Dr. Malinas for treatment of Post-Traumatic Stress Disorder. Issue 1. May the District Assess Student pursuant to the November 14, 2005, Assessment Plan? 9. Under the IDEA and implementing provisions of the California Education Code, either the parent of a child or a school district may request an initial assessment of a student to determine if the child is a child with an educational disability. If a school district requests the initial assessment and the parents do not consent, the school district may request a due process hearing to “override” such refusal to consent. If parent requests the initial assessment, the school district must create an assessment plan and, after receipt of parent’s consent to such plan, assess the student within the applicable statutory timelines. 10. On November 7, 2005, while Student attended Brekke, Parent made a request to District Assistant Superintendent Jackson for an IEE. Parent based her request for an IEE on page seven of the Oxnard School District Student/Parent/Staff Directory of Information, in the Special Education section, which states, in relevant part, that parents have: “The right to obtain an independent outside assessment.” The section further states that “procedures for obtaining such assessment shall be provided upon request.” Parent also requested one-to-one instruction of Student. 11. Assistant Superintendent Jackson forwarded the request to Sean Goldman (Goldman), then Administrator of Pupil Services (now Assistant Superintendent). According to the District’s standard operating procedure, Goldman referred the request for assessment to Student’s school. Accordingly, Mary Truax (Truax), the school psychologist at Brekke, was assigned the task of developing an assessment plan for Student. On November 14, 2005, Truax, on behalf of District, responded to the request for an IEE by letter, including a notice of parent’s rights and a proposed assessment plan of Student in all suspected areas of disability. The assessment plan included assessment in the areas of: (1) pre-academic/academic achievement, (2) social/emotional behavior, (3) self help/adaptive skills, (4) psycho-motor development, (5) intellectual development, and (6) a health assessment. The letter did not specifically address Parent’s request for an IEE or why the proposed assessment was to be conducted by District personnel. 12. On December 8, 2005, Goldman wrote to Parent and specifically explained that a District assessment must be conducted before an IEE at public expense would be considered. Again, Goldman included a copy of the proposed assessment and requested Parent’s consent. 13. On January 3, 2006, Parent informed the District that she had removed Student from the District and placed him with a private home school program. By letter dated January 18, 2006, Goldman acknowledged that Student had been removed from District schools and again requested that Parent consent to the proposed assessment. 14. In response to Parent’s verbal and written concerns about potential bias against Parent and Student for complaining about the incident and the behavior of Brekke Staff, and Parent and Student’s lack of trust in the Brekke assessment team, Goldman decided that it would be best to offer Parent and Student a change of assessment teams. Goldman arranged for the assessment to be conducted by staff from a different District school. Goldman contacted Steve Tobey (Tobey), school psychologist from Fremont Middle School (Fremont) and arranged for Tobey and the Fremont assessment team to conduct an assessment of Student pursuant to the November 14, 2005 assessment plan prepared by Truax. 15. On April 10, 2006, Benjamin Nieberg, attorney for the District, wrote to Parent acknowledging that Parent found some school personnel unacceptable and outlining an alternative proposal for an assessment to be conducted by Tobey, an experienced school psychologist from Fremont and the special education team from Fremont. Student has never attended Fremont and does not have any experience with the Fremont team. The letter also explained that an IEE would be considered if parent disagreed with the results of the initial assessment conducted by the District. Another copy of the assessment plan was included with the April 10, 2006 letter. Parent refused consent to the assessment. 16. At hearing, Parent expressed no particular concern with the credentials or qualifications of the proposed assessment team.2 The proposed assessment team consisted of: psychologist Steve Tobey, Nurse Bonnie O’Hearn and teacher Rebecca Williams-Turner all from the Fremont. Tobey has 14 years of experience as a school psychologist. He received a bachelor of arts in Psychology in 1990, a master’s degree in School Psychology in 1992 and a Pupil Personnel Credential in 1992 from California State University, Northridge. He has experience in the assessment of students for emotional disturbance and all categories of suspected disabilities. Tobey has experience conducting assessments for traumatized students. He has reviewed the assessment plan and is ready, willing and able to assess Student per the assessment plan. 17. Bonnie O’Hearn is the school nurse assigned to Fremont. She has been employed as a school nurse with the District for more than four years. She has more than 10 years of experience as a nurse. She received a bachelor of Nursing degree from Trinity Christian College in 1995, a Cardiovascular Technician Certificate from Illinois Medical Institute in May of 1989 and a Public Health Certification in 2001. She obtained a Preliminary School Nurse Services Credential on October 7, 2002. She has conducted approximately 100 formal and informal health assessments for the District. 18. Rebecca Williams-Turner is a special education teacher assigned to Fremont. She received a Clear Specialist Instruction Credential in Special Education and Clear Multiple Subject Teaching Credential on April 1, 2002. She has been employed by the District as a teacher since May 19, 2000. 19 . Parent requested an IEE on November 7, 2005 . Although Parent’s request specified an outside assessment, it was tantamount to a request to have District assess Student. Moreover, the District itself requested an assessment as it was authorized to do. Based upon Parent’s request and the information District had about Student, adequate justification existed for the District’s own request. 20. In support of Parent’s opposition to District’s request to assess Student, Parent presented the opinion of Student’s treating psychiatrist, Dr. Malinas. Dr. Malinas believes that Student needs an assessment for special education eligibility as soon as possible. Dr. Malinas does not conduct special education assessments. He supports Parent’s request for an IEE because it is Parent’s preference and may be less anxiety provoking to Parent and Student. Dr. Malinas does not have any reason to believe that District personnel are incapable of performing the assessment. According to Dr. Malinas, the Frank site would produce the least amount of additional anxiety for Student because of Student’s familiarity with the site. Other neutral locations such as the District office may also be appropriate in his view. Parent failed to establish that a District conducted assessment presents any appreciable risk to Student or is otherwise inappropriate. 21. District has provided parent with an appropriate and comprehensive plan to assess Student in all areas of suspected disability. District has also proposed an assessment team of qualified individuals which include Tobey, Bonnie O’Hearn and Rebecca Williams-Turner. District has established its right to assess Student in accordance with the November 14, 2005 assessment plan. Issue 2. Is District entitled to an order compelling Student to participate in the assessment? 22. Since November 14, 2005, District has repeatedly attempted to obtain Parent’s consent to an assessment of Student. Pursuant to the IDEA, if a parent refuses to provide consent for a school district’s initial assessment, the District can request a due process hearing to obtain an order overriding parent’s refusal to consent. 23. Student’s parents refuse to produce Student to participate in assessments to be completed by District. District has agreed to allow Parent to remain on-site during the assessment, although not in the actual assessment room, while the assessment is conducted. District has taken reasonable measures and made reasonable accommodations to obtain consent for the administration of the assessment plan. 24. District is entitled to assess Student and Student’s parents must make Student available for the assessments in order to avail themselves of the rights and benefits afforded Student under the IDEA. 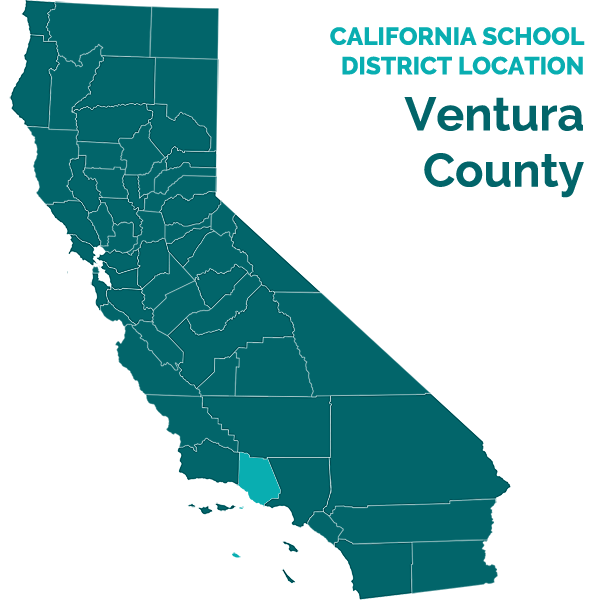 However, neither the IDEA nor implementing California Education Code sections authorize an “order” compelling Student to submit to the assessment. Issue 3. Is it Premature to Order an IEE? 25. Parents are entitled to an IEE at public expense, only if the parent disagrees with the District’s assessment. In such a case, the school district must either pay for the IEE or request a due process hearing to establish that its assessment was appropriate. Here, there has not yet been an assessment with which to disagree. Thus, Parents are not entitled to an IEE at public expense at this time. Issue 1. May the District assess Student pursuant to the November 14, 2005 assessment plan ? 8. Based upon Factual Findings 1 through 21 and Legal Conclusions 1 through 3, the District is required to assess Student. 9. Based upon Factual Findings 1 through 24 and Legal Conclusions 1 through 3, District may not compel Student to submit to the assessments but is entitled to conduct an assessment of Student. Issue3. Is it Premature to order an IEE at Public Expense? 10. Based upon Factual Findings 1 through 25 and Legal Conclusion 4, District has not had the opportunity to conduct an initial assessment of Student. Accordingly, Parent is not entitled to an IEE at public expense at this time. 1. The District is entitled to assess Student pursuant to the November 14, 2005, assessment plan. Such assessments shall be conducted by District staff at a mutually agreed upon time and location. 2. If Student’s Parents wish to avail themselves of special education services from the District, Student’s parents must make Student available for assessment by District within a reasonable period of time, but no later than 30 days following issuance of this Order. 3. Parent is not entitled to an IEE at this time. Pursuant to California Education Code section 56507, subdivision (d), the hearing decision must indicate the extent to which each party has prevailed on each issue heard and decided. The District has prevailed on all issues.